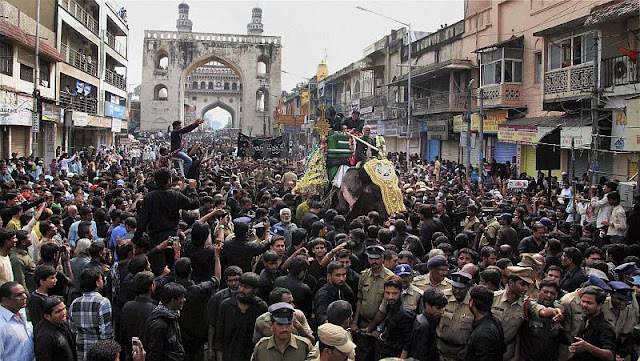 Muharram was observed on hyderabad with misery processions. The day is observed in memory of the persecution of Imam Hussain, a grandson of Prophet Mohammed, and others in the battle of Karbala. The mourners inflicted injuries on themselves to show concord with the sufferings of the martyrs. Hyderabad police had made tangled security arrangements to ensure that the processions and the event passes off peacefully.